Favourite Sports Memory: Breaking the junior world record while finishing 4th at a senior world cup. How you got involved in your sport: Through my parents when I was 3. The moment you knew you wanted to represent Canada: When I first watched the Olympics. CAN Fund Testimonial: I would like to thank CAN Fund for their precious support. For an organization so helpful to Canadian amateur athletes to be so under the radar is a tragedy. We need to spread the word about CAN Fund because you guys are doing an incredible job. Thank you again. 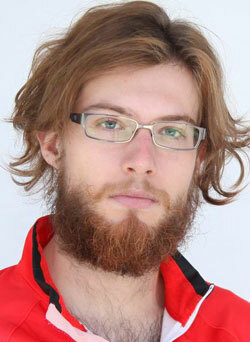 Best Result: 9th at the 2013 world single distance championships (500m). Share one valuable tool that you use on a daily basis that helps you to be the best athlete you can be: My training journal is a tool I use to monitor all my activities. I can keep track of my fatigue, my humor, my training volume, how fast I went on a particular day, and so on. Who is one person in your life that has impacted your career and what was it that they taught you: My coach Gregor Jelonek. 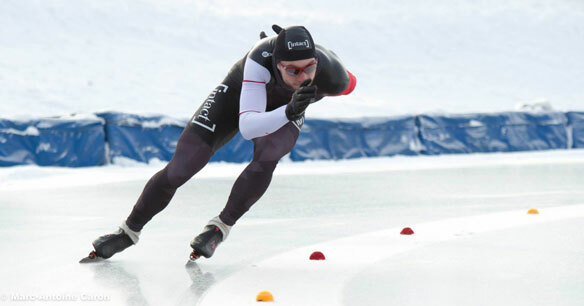 He has taught me how to harness my passion for speed skating and use its energy to go faster. I had always been a passionate person, but he showed me how to use that form of energy. Have you read any articles or books or watched any videos or movies recently that really inspired you: I particularly like the Rocky series, especially the first movie. Fun Facts: I’m the biggest maple syrup fan there is. Also, I can lift one eyebrow at a time. Aside from speed skating, I played soccer, ran track and field and played table tennis competitively when I was younger. I play golf for fun, even though I’m awful at it.